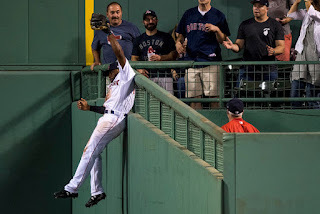 Gold Gloves or not, there is no topping Jackie Bradley Jr.
Like most 10-year-old boys into sports, my son is a big fan of Odell Beckham Jr. and his remarkable catches. When he plays catch with his friends, they say to each other “Odell me,” which means throw a pass that requires they reach up and back to make a one-handed catch. “Did he make a lot of one-handed catches, Dad,” the boys asked of Rice. Whenever someone brings up the incomprehensible fact that Jackie Bradley Jr. has never won a Gold Glove, I think back to that conversation. Perhaps JBJ doesn’t make enough diving catches to grab the attention of the Gold Glove voters who have historically been off the mark. Everybody loves to see the Superman dive. Guys like Eric Byrnes and Jim Edmonds were great for that. But while Edmonds was making SportsCenter with a spectacular diving catch, Kenny Lofton was just getting the ball. Bradley (shown robbing Aaron Judge in the eighth inning of a July 16, 2017 game at Fenway Park) doesn’t have as many Plays-of-the-Week diving catches because, well, he doesn’t have to dive as much. Sure, Bradley also doesn’t have the career .299 batting average of Lofton, who has a collection of Gold Gloves, and that is also a problem. We all know that, year after year, players win Gold Gloves with their bats. The most glaring example of that was when Rafael Palmeiro won the Gold Glove at first base in 1999 when he only played 28 games at the position. He was the designated hitter the rest of the games. Derek Jeter won five Gold Gloves, and he wasn’t even the best shortstop on his team for half of his career. While Bradley has gone on streaks where he has been one of the best hitters in baseball for weeks at a time, he is not going to win any awards based on his bat any time soon. His glove, on the other hand, is as good as it gets. That Bradley has yet to win a Gold Gove is nothing short of disgraceful. JBJ is the best go-and-get-it outfielder to play for the Red Sox since Fred Lynn was roaming center field at the Fens. 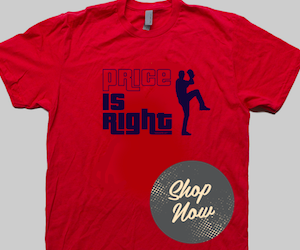 He also has an arm that would rank near the top for right fielders. 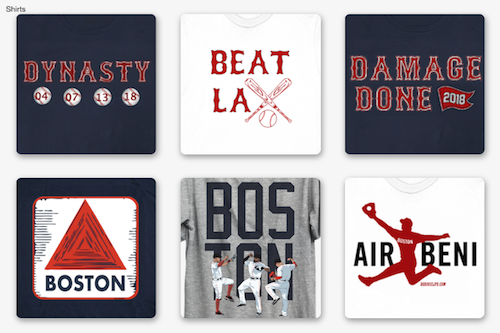 Really, when you’re listening to the Red Sox on the radio, and you hear the call of a hit to the outfield, is there anything more comforting than hearing Joe Castiglione or Tim Neverett say the word “Jackie?” You know that is the sweet sound of an out. The 71-year-old Castiglione, a Red Sox Hall of Famer, says JBJ is the best in the game, and you better believe him. Bradley has amazing instincts. He always gets a good jump on the ball, and he almost always runs it down. If Bradley can’t get it, nobody can. Who cares about what the stat geeks say about WAR? JBJ is the best in the business. If the Red Sox can get even close-to-average offensive output from him, there is no reason for any of this silly talk we’ve heard this season about the Red Sox moving on from Bradly. His impact on the game might not always be found in the box score. Unless, that is, you’re looking at the pitcher’s line. Mookie Betts played center and was burned by a Brett Gardner triple in that heartbreaking May 9 loss in Yankee Stadium. Ask yourself if Jackie would have got to that ball. You know the answer. 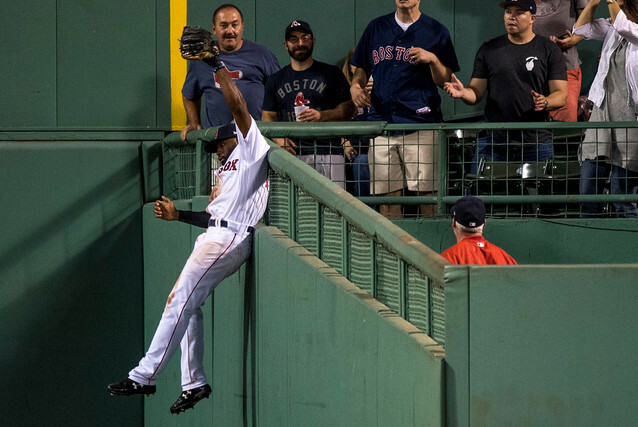 Oh, JBJ will make the incredible grab from time to time, and we might not see a better catch than the one that drew an immediate hug from Brock Holt last week. His biggest impact on the game, though, is making those difficult catches somehow look routine. Yet, not only has Bradley never won a Gold Glove, last year four Red Sox players were nominated for the award, and JBJ wasn’t one of them. That is one of the all-time headscratchers. Early in the season, Betts received his second Gold Glove. In doing so, he joined Carl Yastrzemski, Dwight Evans and Lynn as the only Red Sox outfielders to win multiple Gold Gloves. With all due respect to Betts, he should have immediately handed that award over the JBJ. When it comes to flashing the leather, even the Great Mookie Betts takes a back seat to Bradley. He really is that good. And, remember, I said with all due respect.